Know the skills, make a few mistakes, improvise on the details and pour yourself the best poison. 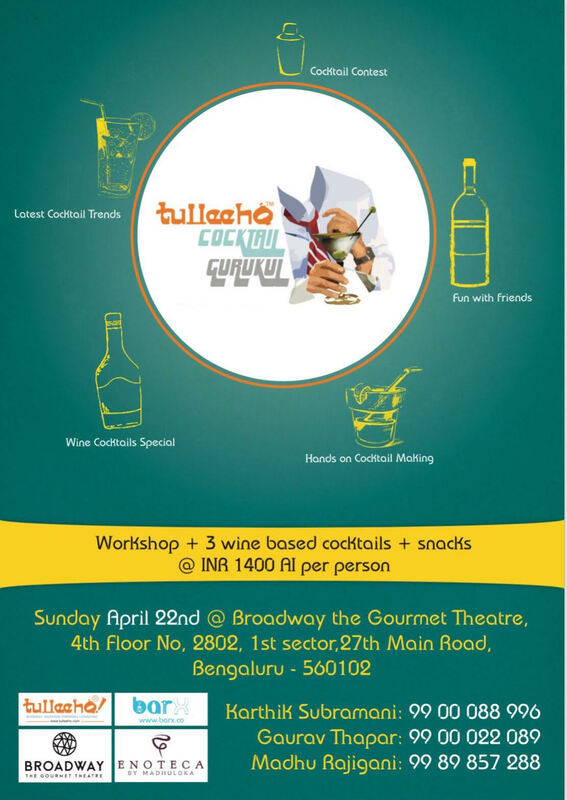 This fun-filled activity is to bring friends together and try their hand at cocktail making. The event is to start by 12 PM and will extend for an hour. The workshop, 3 wine-based cocktails, and snacks, all-inclusive, INR 1400.